1. Mobile Optimization Is Imperative. In recent years, mobile searches have been more prevalent than laptop and desktop searches. Because so many people across the globe are using their tablets or smartphones to locate data online, business owners who want to optimize conversion must focus on making their Internet content available to individuals who use electronic devices. If you fail to optimize your website with responsive web design techniques, you’ll run the risk of losing prospective customers. With this idea in mind, make sure you start implementing responsive web design strategies now so your site visitors can attain the best user experience possible. In addition to optimizing sites for mobile friendliness, business owners need to ensure that they make it easy for customers to shop and purchase the goods they want. One way to make it happen is by utilizing shopping cart ecommerce software. Companies like 1shoppingcart.com offer this software. 2. Voice Search Optimization Is A Must. Voice search has become increasingly prevalent in recent years. As such, business owners who want to enhance their bottom line should focus on optimizing for voice search. People utilize various search terms when they type and speak. Voice searches tend to lean towards the long-tail keywords. Since this is the case, you should include these types of words to ensure that your company attains an optimal ranking in the search engine results pages (SERPs). 3. Local SEO Will Become Increasingly Important. Now that Google has launched My Business, local SEO has become more important than ever. There are numerous changes to how Google shows search results for a local word or key phrase. Different search components are implemented to ensure that individuals attain instant data about a local business. For these reasons, it is important to ensure that your business is listed via Google. 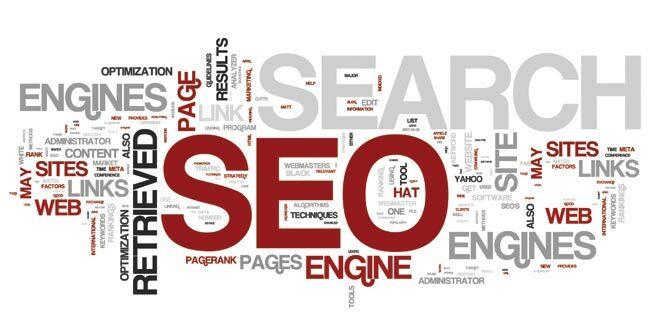 Taking this step will help improve your search visibility. A great place to begin this process would be Google My Business. From here, you’ll be able to control several accounts from a central setting. 4. Social Posts Are Important. It’s always smart to rank your videos, news, images, and blog posts on the results pages. However, many business owners overlook the fact that they should be ranking their social posts also. Many advertisers are already using social media optimization strategies to ensure that a client’s brand attains an ever-increasing level of visibility in the search engines. When a prospective customer types your company name in, you want to ensure that the business’s social media profile is visible on page one. Also note that several social media platforms now encourage the use of long form content. This is especially the case for Facebook now that they have revamped their Notes feature. Don’t Delay: Start Implementing These SEO Strategies Today! If you’re serious about making your digital marketing campaign as successful as possible, it’s important to know that remaining aware of new SEO trends is a wonderful way to realize the goal. You can use some or all of the strategies outlined above to ensure that your company remains on the path to online advertising excellence! One experience I have is the optimal interface for mobile websites. This greatly influences the ranking on the search engines. Thanks for sharing your article.